There is a beautiful looking museum which floor and ceiling are all covered with mirror polished stainless steel sheets in New York city. You will find many people there who enjoy the mysterious space to see reflected arts, people and who take a lot of pictures. 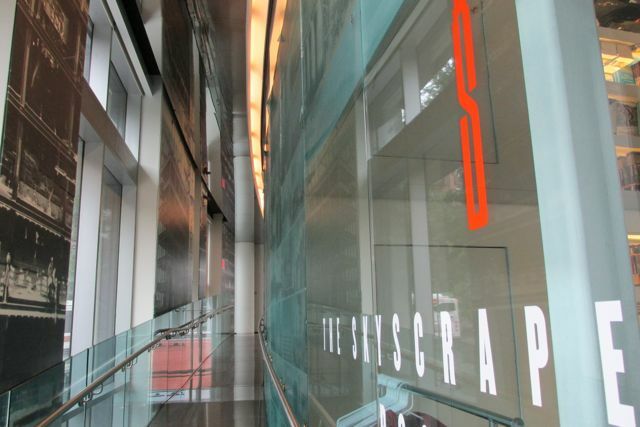 SUS304 MIRROR STAINLESS used in Skyscraper Museum | Photos © Jem Industries Corp. Skyscraper Museum in Manhattan, New York city is, as the name suggests, showing the history and pictures of high-rise building in the world. This museum was once near World trade center, but after September 11, it moved to current place and the visual was also re-borned with high reflective stainless sheets. 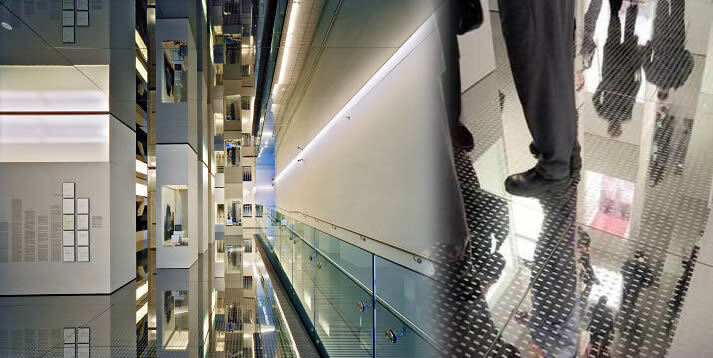 The surface of the stainless steel sheets on the floor are deeply etched to avoid the risk many visitors slip on the brilliant metal. We, Jem Industries Corp exported the stainless steel sheets with deep etching from Japan. If you have any interest in our products, please visit our website “color-metals.com” or feel free to ask us from contact form .